A small arch in Red Rock Canyon State Park, California. 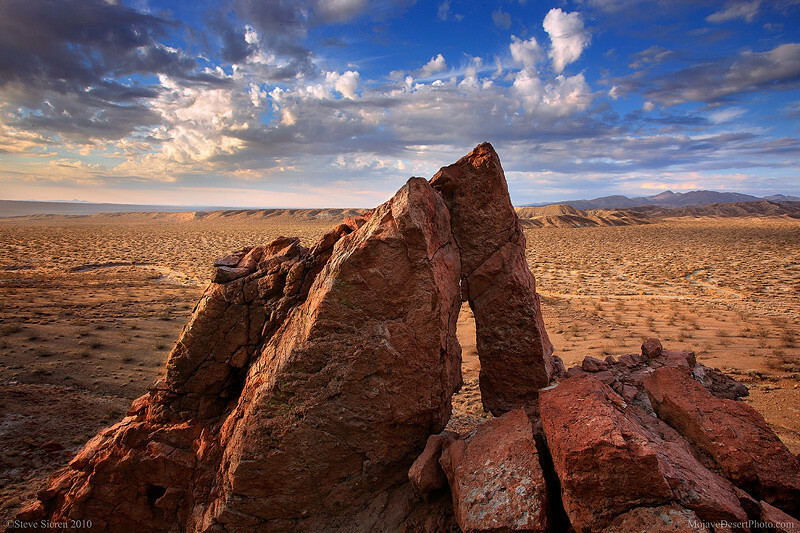 This small overlooks the Mojave Desert from the cliffs above the desert floor. A clearing storm brings soft light to the El Paso Mountain Range in the background. This was only a little over an hour drive from the Northern Los Angeles area. There are plenty of arches that haven’t been photographed yet, so for the curious keep exploring.. . This entry was posted on July 11, 2012 at 11:39 am and is filed under Uncategorized. You can follow any responses to this entry through the RSS 2.0 feed. You can leave a response, or trackback from your own site. Thank Truels!! We’ll be here in California when you’re ready! Good photo. I like your timing. Sometimes people call these types of formations windows too. And also “Eyes”, thanks David!